Saraki, AGF in crucial meeting. The Attorney-General of the Federation, Abubakar Malami, just arrived at the office of the Senate president, Bukola Saraki. This was disclosed by a reliable source to NAIJ.com, who also informed that details of the meeting as at press time remain unknown. The Senate had insisted that the AGF must appear before it over alleged forgery of the Senate standing rules or risk arrest. The resolution followed a report by chairman of the Committee on Judiciary, David Umaru, who informed lawmakers that presidential aide, Ita Enang, had appealed for more time for Malami to appear before the Senate to explain his role on the matter. 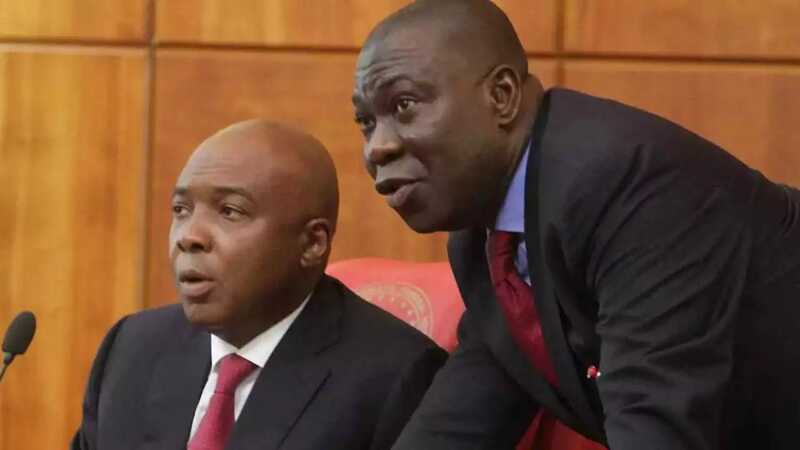 This meeting comes as the senators were said to have been involved in a rowdy session over the forgery allegations leveled against the Senate president. Senator Dino Melaye had also threatened to ‘impregnate’ Remi Tinubu, wife of the Bola Tinubu, the national leader of the All Progressives Congress (APC). 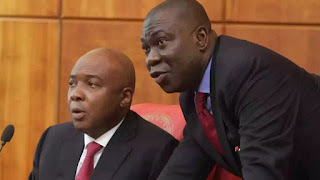 His anger stems from the proposed trial of the Senate leadership over forgery, a case for which Senate president, his deputy, Ike Ekweremadu, and other officers were recently charged to court.